Am I seeing double? 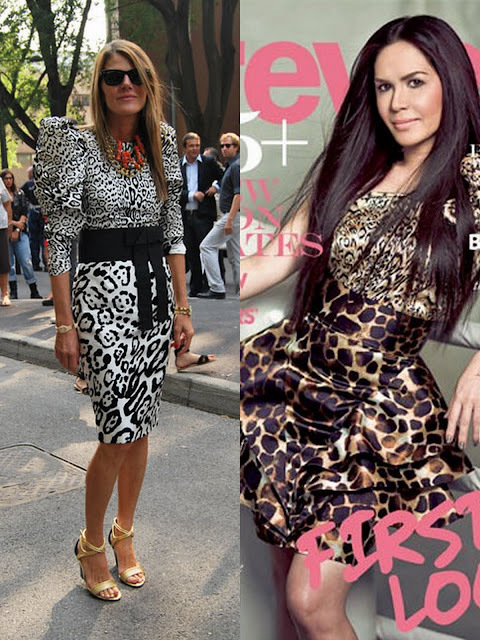 Anna Dello Russo and Jinkee Pacquaio. 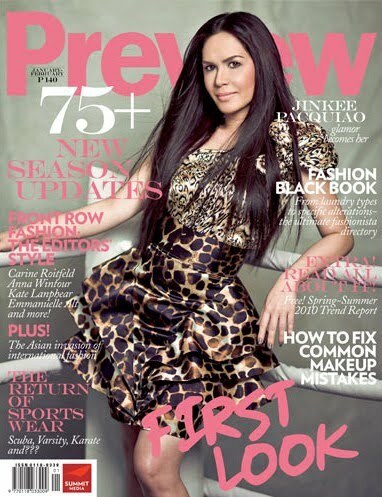 The famed Fashion Director at Large of Vogue Nippon seems to be the inspiration for the styling of the infamous and controversial Jinkee Pacquiao Preview Cover. Who wore it best? Copy cat? What do you think?